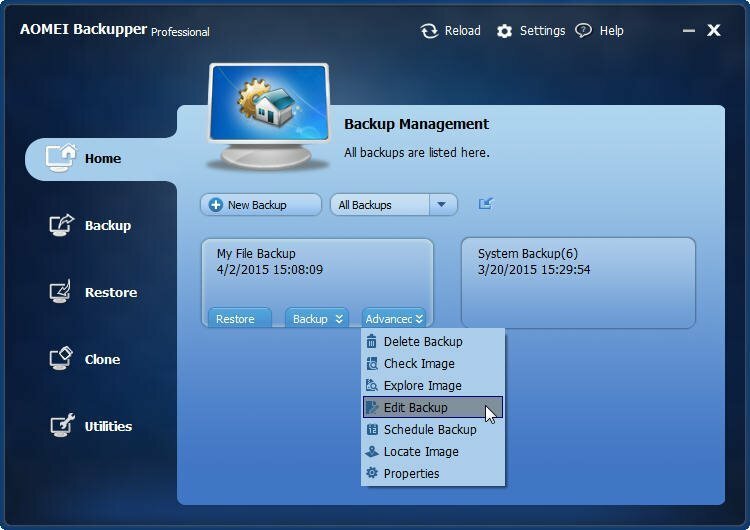 Edit the task name of your previous backup or choose another destination to save the backup image file. This option is listed in the Advanced drop-down menu on every backup task management, so you can edit the backups after you create the task completely. You can change the task name, or change the destination to save the image to other locations by using this feature. In the Home Screen, all the backups are listed there. Move the cursor to the backup task which you want to modify, click Advanced to open the drop-down menu, then select Edit Backup. On the top of the pop-up window, click the edit button behind the Task Name, then type the new name in the editable box, click OK. 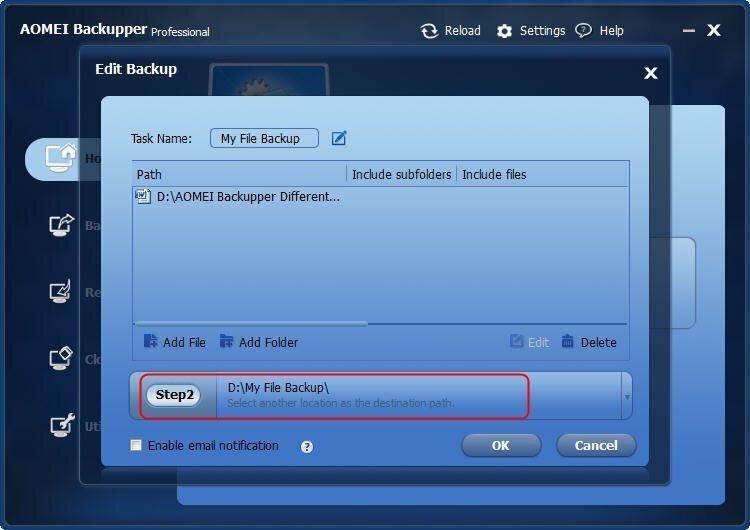 If the selected backup task is a File/Folder backup, click Add File/Add Folder or Edit the source. For other backups, the source cannot be edited. Click the Step2 button; you can browse another path as the destination location to store the backup image. Click OK to save all the changes. If you change the destination location where you saved the images, all the images will be moved to the new location and this will take some time for the move operation. Only File/Folder backup tasks offer the options to edit or add the source files/folders. For system, disk and partition backup, the source cannot be edited.